The cute pregnancy announcements keep rolling in. Chrissy Teigen, Miranda Kerr, and Behati Prinsloo are among the models who are all expecting their second child right now, and now you can add Coco Rocha to the list. The veteran model announced her pregnancy with an adorable new Instagram video featuring her daughter, Ioni, who is almost 3. Before walking the red carpet at the Bloomberg 50 event in New York, Rocha enlisted her cute mini-me to announce the exciting news at their home in Westchester. How cute is this mother-and-daughter duo? Congratulations to the soon-to-be family of four. 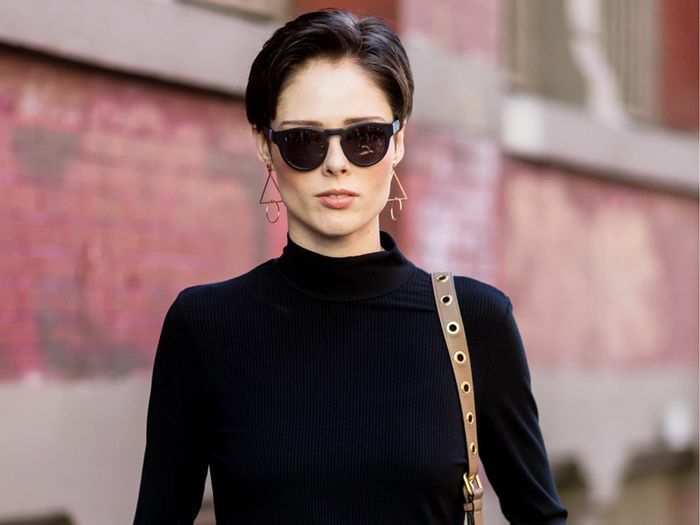 Scroll down to see Coco Rocha's Instagram announcement.